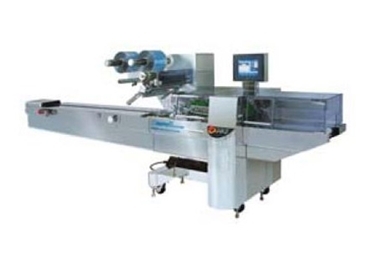 Leading specialists in the supply, service and design of packaging machinery solutions, Walls Machinery will be exhibiting equipment solutions from Fuji and Anritsu at New Zealand’s Foodtech Packtech 2012. Representing some of the world’s leading manufacturers, Walls Machinery supplies a wide range of packaging and processing machinery including X-ray inspection, tube fillers, pouch machines, horizontal and vertical form-fill-seal machines, cartoners, weighers and tray lidding. Walls Machinery will display the Fuji Alpha VII horizontal form fill seal machine, which caters for a broad range of products across a variety of industries. Available with a rotary end seal for high speed applications, or box motion end sealer for hermetic seal packaging, Fuji Alpha VII form fill seal machines offer capacity ranges from 10 to 300 packs per minute. The new heating system saves on energy consumption and further reduces time on products changeover, while stainless steel covers are provided as standard. Anritsu inspection equipment will also be a highlight at the Walls Machinery stand and will include the new Anritsu SSV checkweigher and metal detector. Anritsu metal detectors offer superior detection of ferrous and non-ferrous metals including stainless steel, and can detect foreign substances as small as 0.9mm in diameter and 3mm in length. The new SSV Anritsu checkweighers offer comprehensive weighing technology to assure safety and security in a variety of applications including meat, retort, frozen food, pre-packaged meals and confectionary.